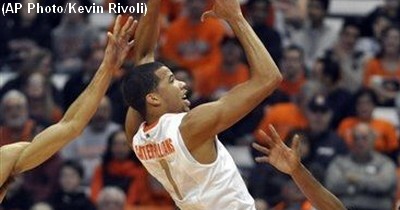 Michael Carter-Williams had a career-high 18 points, 13 assists and nine rebounds on Monday to lead the seventh-ranked Orange to a 96-62 victory over Central Connecticut State. No. 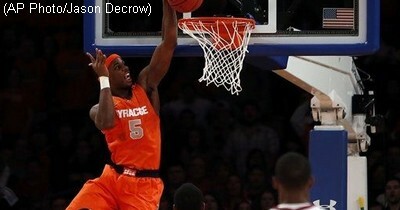 9 Syracuse beat Alcorn State, 57-36, on Saturday night in the final game of the Gotham Classic. Syracuse’s perfect start was put to a stop by Temple on Saturday afternoon, as the Owls defeated the Orange, 83-79, at Madison Square Garden. 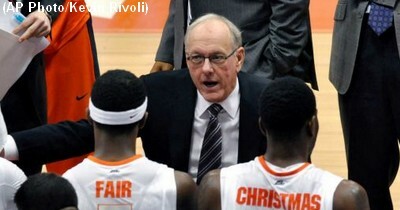 Jim Boeheim became the third Division I men’s coach to reach 900 wins as No. 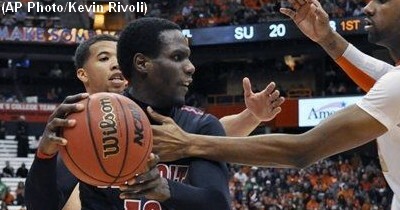 3 Syracuse beat Detroit 72-68 on Monday night in the Gotham Classic. A close game at halftime turned into a blowout victory for No. 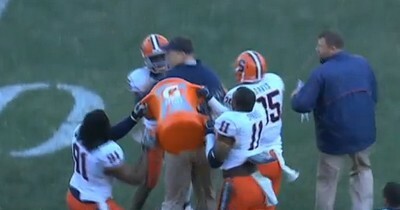 4 Syracuse on Saturday. Carter-Williams had 15 points and a career-high 16 assists, C.J. Fair had 14 points and 10 rebounds, the second straight double-double for both players, and No. 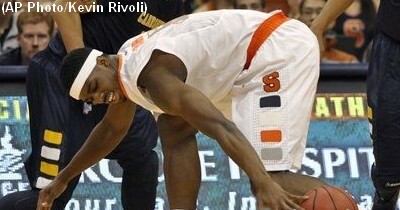 4 Syracuse beat Monmouth (N.J.) 108-56 on Saturday night. C.J. Fair had 16 points and a career-high 13 rebounds, Michael Carter-Williams added 15 points and 10 assists, and No. 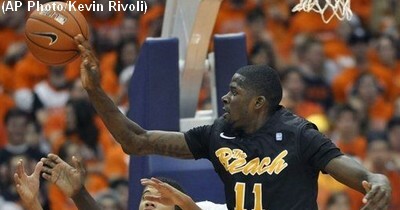 4 Syracuse beat Long Beach State 84-53 on Thursday night. 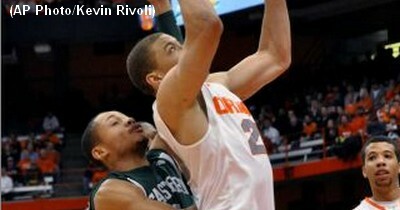 The Orange got off to a slow start, but rallied to blow out Eastern Michigan, 84-48, on Monday night. 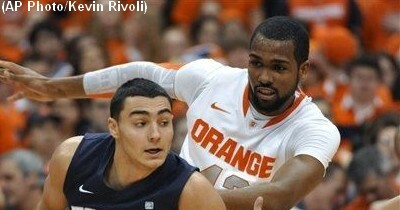 Syracuse got off to another slow start Friday against Temple, but again the Orange came from behind to win.